Дата съёмки 21 августа 2017 г. 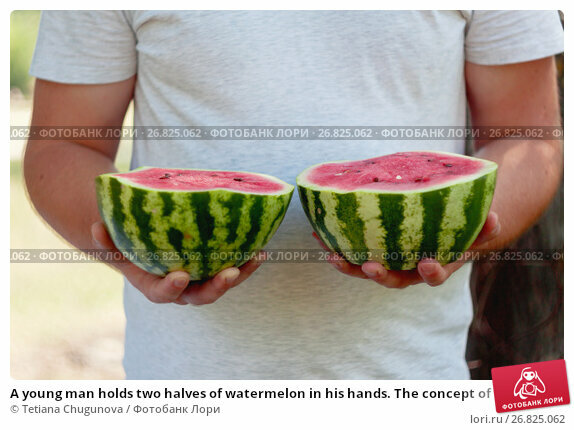 A young man holds two halves of watermelon in his hands. The concept of healthy nutrition and vegetarianism.